Frederik Meijer Gardens & Sculpture Park is a 158-acre (64 ha) botanical garden and outdoor sculpture park located in Grand Rapids Township, Michigan in Kent County. Commonly referred to as Meijer Gardens, it has quickly become one of the most significant sculpture experiences in the Midwest and an emerging worldwide cultural destination. In April 2005, The Wall Street Journal wrote that "There's nothing quite like Frederik Meijer Gardens & Sculpture Park this side of the Kroller-Muller Museum and Sculpture Park in The Netherlands." 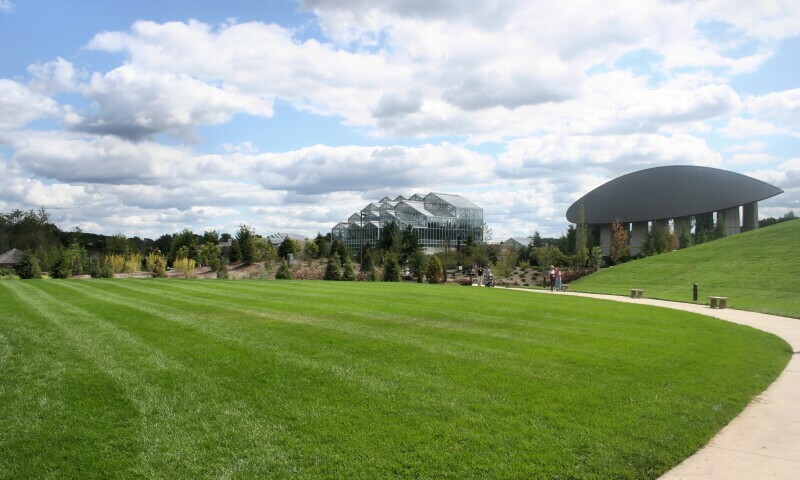 Meijer Gardens opened to the public on April 20, 1995 through the generosity of Frederik and Lena Meijer, the family behind the Meijer Corporation, who donated financial support, land and their entire sculpture collection to the organization. It is currently the second most-popular cultural destination in Michigan with 600,000 visitors annually, and is funded almost entirely by private donations. Meijer Gardens includes Michigan’s largest tropical conservatory; three indoor theme gardens; a new 8-acre Japanese Garden that opened in 2015, outdoor gardens, nature trails and boardwalk; sculpture galleries and permanent sculpture; library; audiovisual theater; a café and gift shop; classrooms and meeting rooms. Some of the artists included in this collection are Dale Chihuly, Edgar Degas, Jim Dine, Louis Bourgeois, Keith Haring, and Roy Lichtenstein.